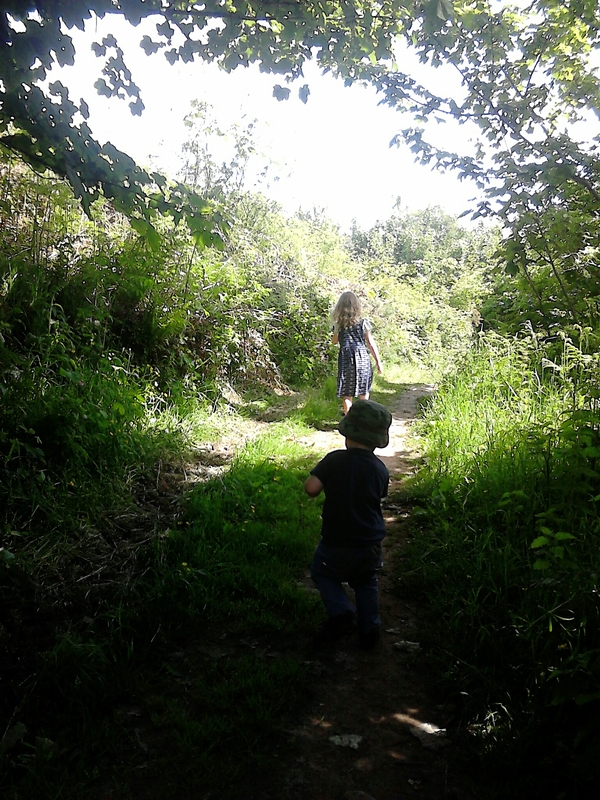 First weekend of #30DaysWild and yesterday the wild ones and I went to the sea; no pictures but little un did come back sporting a grazed knees from falling over chasing seagulls. 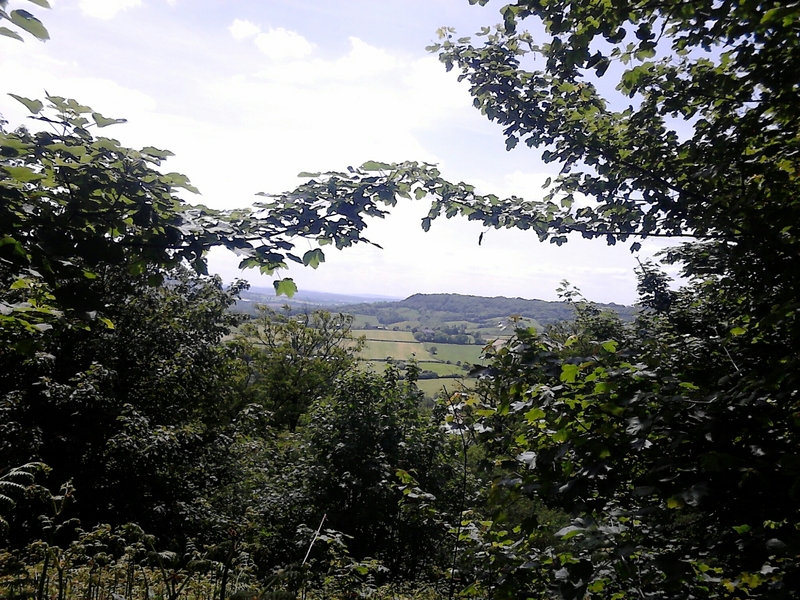 Today we went for a walk on Dumpdon Hillfort (Iron Age, suggested to be incomplete). Not the planned route (another grazed knee and elbow changed plans…) but nice never the less. Dumpdon is really in the shadow of its more well know hillfort neighbour of Hembury, but is surrounded in tales of mysterious goings on. There is talk of tunnels from neighbouring farms to the hillfort, and of ancient magic carried out in the copse of trees that crown the top of the hill. Interestingly the “cauldron of story” bubbles strongly at Dumpdon, and I’ve seen reference to modern stories appearing. Firstly reports (real or otherwise, in someways doesn’t matter) of occult practices occurring on the Hill. This seems to be coupled to earlier references of pagan practices on the hill. Secondly, are the snatches of story regarding an “incident” occurring on the 1970s relating to a Dr. Glanvill and the recovery of bodies. No more information is recalled, and from a quick Internet search it seems this story is first recorded/starts from the Wikipedia entry on the hillfort, but is repeated near enough word for word on other sites relating to the area. I never came across, or was told about, this story when working on the area, so I’m intrigued. If anyone know more about this story please let me know! This entry was posted in 30 Days Wild, English folklore, Landscapes. I’d love to know if you ever found out anymore about the legends around Dumpdon Hill. I used to live up there a few years ago and did see something there once. It’s always intrigued me.